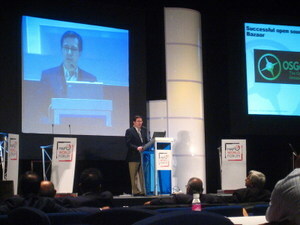 I just spent a few days at the Map World Forum conference in Hyderabad. 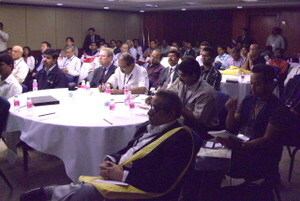 This conference was quite different from its MapIndia predecessors for several reasons. More of the participants were international, where in the past they was primarily Indian. Also there was a very impressive list of international speakers as well as senior government ministers from the the Government of India, Kapil Sibal, Minister for Science, Technology, and Earth Sciences, other national governments, Dato'Seri Haji Ajmi bin Khalid, Minister of Natural Resources and Environment, Government of Malaysia, Rudolf Matindas, Head of Bakosurtanal (Indonesian National Coordinating Agency for Surveys and Mapping), and the Government of Andhra Pradesh, Y Rajsekhar Reddy, Chief Minister of Andhra Pradesh, which is where Hyderabad is located. Michael Jones, CTO of Google Maps/Earth, was there and is always interesting because he presents the latest statistics on Google Maps/Earth adoption, currently 200,000,000 Google Earth downloads and 10,000 mashups. Gary Lang from Autodesk outlined why Autodesk, which had relied entirely on a closed source model, decided to open source MapGuide Open Source, a new web mapping product that Autodesk has been developing over the past three years and which Autodesk contributed to the the OSGEO. 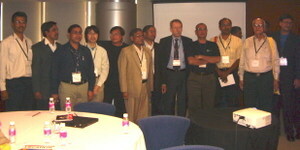 One of the best attended sessions at the conference was a meeting of the Indian chapter of the OSGEO. OSGEO India was one of the first regional chapters formed and looking at the number of people who came to this meeting, it is clear that there is a tremendous amount of interest in open source geospatial in India. Professor B L Deekshatulu of the University of Hyderabad gave a very interesting inaugural address, followed by presentations by Dr P S Roy on OSGEO India's plans, Professor Rongguo Chen on OSGEO activities on China, a fascinating presentation by Mori Toru from Orkney in Japan on how Orkney has created a business based on open source geospatial, Professor Venkatesh Raghavan, Osaka City University, on the evolution of OSGEO, and myself on open standards, open source and open content. With respect to open content I discovered an interesting site, Freemap.in, where you can find a very detailed and free map of Mumbai. One of the trends that I am noticing in various parts of the world is an interest in commercial opportunities using open source geospatial. Most people are aware of the success of companies like Red Hat, MySQL, and others using general open source projects like Linux, MySQL, Sendmail, and others. 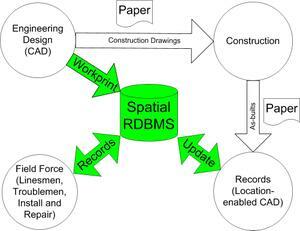 In open source geospatial the best known examples that I am aware of are DMSolutions (Canada), Orkney (Japan), and Refractions (Canada), but I believe there are actually many more out there that we are simply not yet aware of. 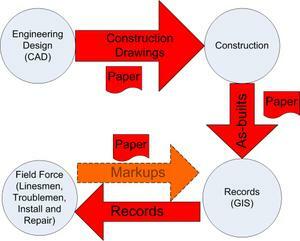 The advantages of starting a business based on open source geospatial are low cost of entry (open content also helps reduce the cost of entry), an opportunity in a relatively new, as yet uncrowded, area, rapidly growing demand, and vehicles like the OSGEO.org for someone new to this area to become known fairly rapidly. An example of the last is Haris Kurtagic from SL-KIng in Slovenia who has developed an open source Oracle FDO data provider which he publicized on the OSGEO web site. Haris is now on the Steering Committee of the OSGEO MapGuide/FDO project and SL-KIng is quite well known internationally as a result. 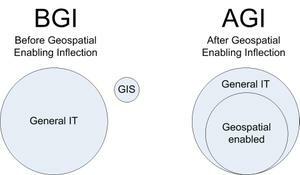 I would recommend to anyone who is thinking of starting his or her own business to look at open source geospatial, especially web mapping and the Feature Data Object API (FDO). The last time I checked there had been 3,000 downloads of FDO and at least five FDO data provider projects underway. 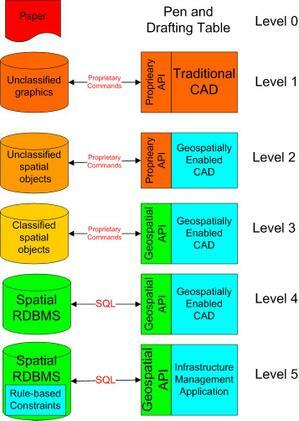 This is a great way to get started in open source geospatial, especially if you are familiar with an application for which there is not yet a full FDO data provider. For example, there is a crying need for an FDO data provider for MapInfo data files, which are especially prevalent in the Middle East, Southeast Asia, and Africa. Since OGR supports MapInfo data files and there is an OGR data provider for FDO, it is already possible to read MapInfo data with FDO. But in my opinion, the most important distinguishing feature of FDO is that it is a Web 2.0 phenomenon because it provides a full spatial edit API. The world needs a fully edit capable FDO MapInfo data provider.